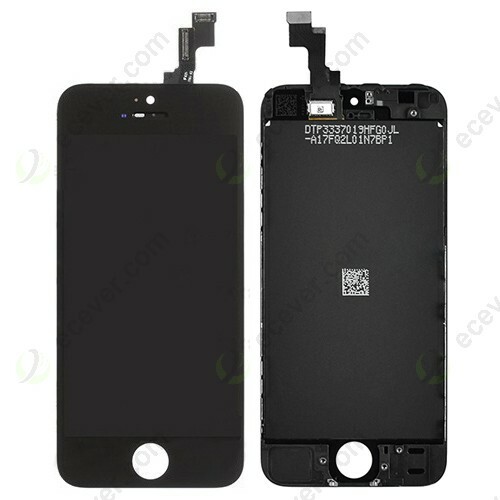 Black Color Front Touch Screen Digitizer with LCD Display Assembly for iPhone 5S for sale now. This item is OEM LCD Display with High Quality Touch Glass Combo Unit. Tested working well. 1.This item is Original LCD with generic Touch Glass. The LCD Display is Original with Original Resolution, Display color is totally the same as original. The Front Glass is Non-Original, but good quality with waterproof function. 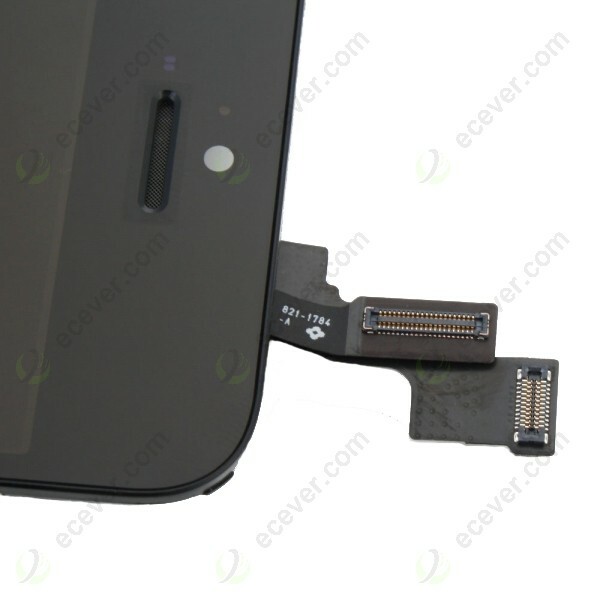 The LCD Flex Cable comes with LCD Display, we just attach the glass. Quality is very stable. We highly recommend this screen if you repair phones. 4.Quality Standards: We only sell Grade A quality standard products. This item is original display, but we still check the touch screen to make sure the touch screen is sensitive. And we will test the LCD Display to make sure there are not any dead pixels or spots. 5.Professional installation required. It is not an easy job to replace your iPhone 5S/SE LCD Screen with frame. This item should be installed by professional repair person. What is the digitizer ? Digitizer can be said touch screen, digitizer is consist of touch flex cable and touch glass. Usually, what your iPhone 5S/SE screen broken is only the touch glass, this glass is only a single glass without touch function, is is why your screen is broken, but the touch is still sensitive. What really acts as touch function is the touch flex cable. 6.Packing and Shipping: We pack each screen very carefully with thick bubble bags. Shipping is fast via express to all countries. 7.We have large quantity for iPhone 5S LCD Screen Digitizer Assembly in stock. Low price is available if your order is large.